For the longest time, dental practices depended on traditional marketing techniques to make their presence known within a community, and they did work. People got to learn that there’s a dental professional in the neighborhood and availed of the services that he or she had to offer. Then the Internet came along and changed the way dentists market their practices forever. While TV, radio, print ads, and other traditional forms of advertising continue to be useful for dental practices and other types of business, the Internet has given dental professionals a more cost-effective, targeted, and ultimately more far-reaching way of promoting their services. If you’re a dental professional and you haven’t gotten on the online dental marketing bandwagon just yet, here are some compelling reasons why you should waste no time and start marketing your dental practice on the Internet. More than half the world has access to the Internet as of 2018. That’s more than three billion people browsing the web looking for information they need on just about anything, including dental services in a specific area. 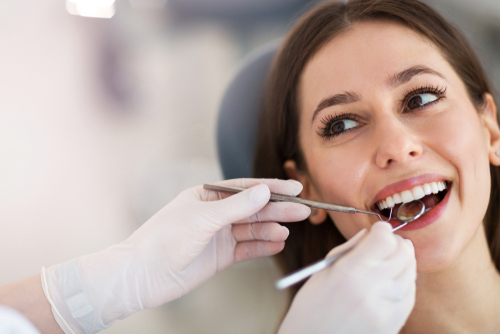 For a local dental practice like yours, having access to just the tiniest fraction of that figure may already do wonders for your bottom line. And if you don’t have a presence online in any way, shape, or form, then you can only imagine what you’re missing, when Google gets more than 100 billion searches every month. It’s one thing for a person to hear about your dental practice through a traditional advertisement. It’s an entirely different thing when people get to know the scope of your services, the qualifications of the professionals who will be taking care of their dental needs, and how relaxing and welcoming your dental office can get, among other things, by browsing through your website, an essential component of a digital dental marketing strategy. If your website has a blog, then you can post articles that talk not only about the services that you offer, but also the happenings in the dental and oral care industry in general. You can share news about the latest dental procedures, or you can write your opinions about them. That way, you can get to gradually establish yourself as an authority in the field of dentistry, and that will always be great for your brand. Social media is one aspect of online dental marketing that dental practices should pay a lot of attention to simply because it’s the perfect platform to engage with patients and build relationships with them. With a presence on Facebook, Twitter, Instagram, or any social media platform of your choice, you get the chance to actually talk to them, answer their questions about oral health, or show them your track record and experience in the industry. With your interactions on social media, you have the power to make people feel comfortable about you and your practice long before they actually visit your dental office. With social media, you get the best possible chance of connecting with your patients. If there’s one thing that’s absolutely true about the dental industry today, it’s that the competition has gotten tighter than ever before. These days, there seems to be a dental practice in every corner, and you can bet your dental license that most of them are engaged in dental marketing online to get more patients to come through their doors. If you’re not, then you need to play catch up, and fast. The above are just some of the reasons why you should give online dental marketing a shot. And if you ever decide to enter the fray, then you should check out the infographic below to find out the major steps to successful Internet marketing for dentists. Content Marketing Strategist for My Digital Dentistry. She enjoys reading books and being around family and friends.